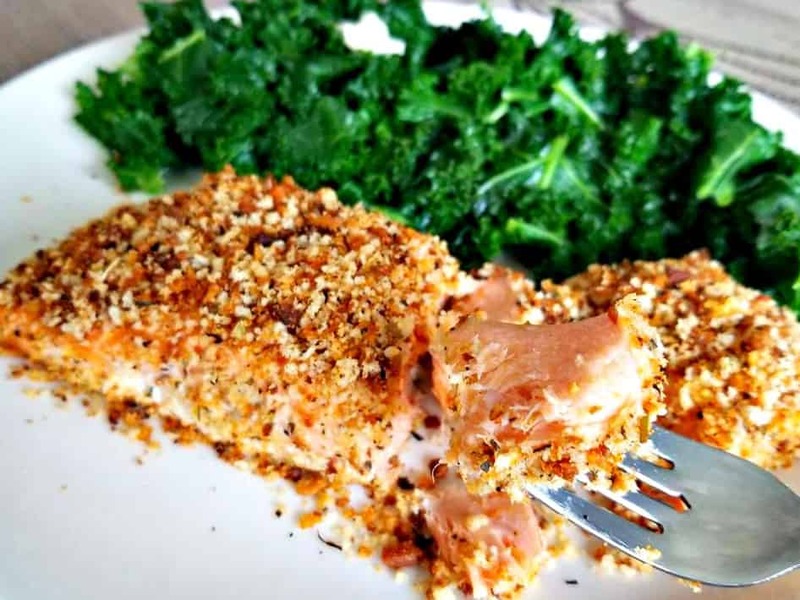 Baked Salmon does not get any tastier than this friends! 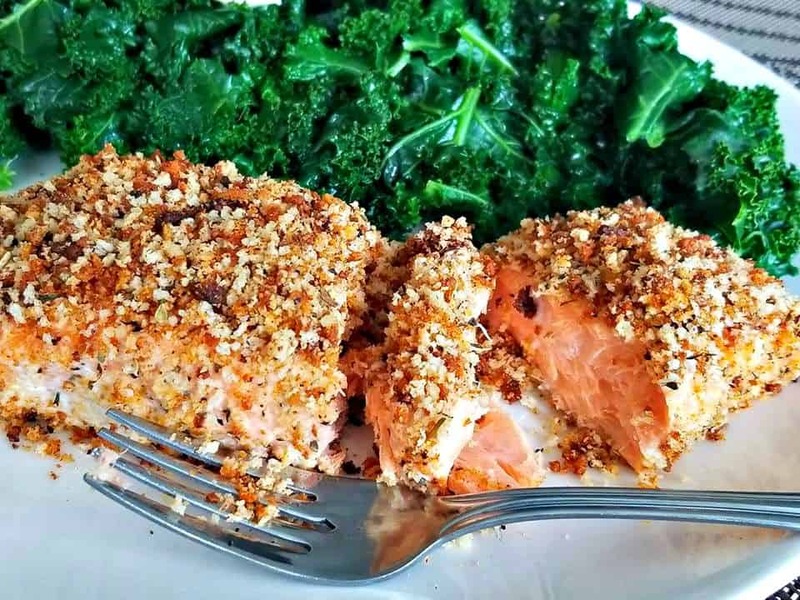 I just love these crispy herb crusted salmon fillets, not only are they super delicious there also super healthy for you and easy to make. 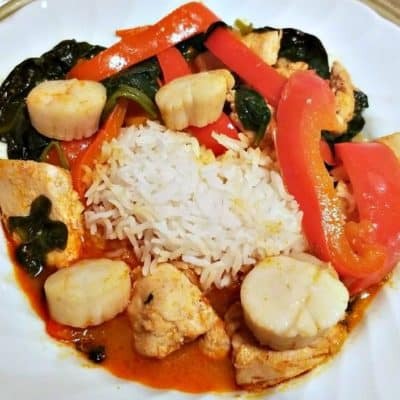 That is why I love home cooking, because you can make healthy home cooked meals from scratch such as this tasty fish and feel satisfied knowing exactly what is going into your meal. I used to occasional buy those pre boxed fish, you know what I’m talking about? Those frozen battered kinds in the freezer section at every grocery store. It wasn’t because I was lazy it was because I did not have the confidence in myself to prepare fish from scratch. I just was not raised cooking fish, so I had to teach myself. 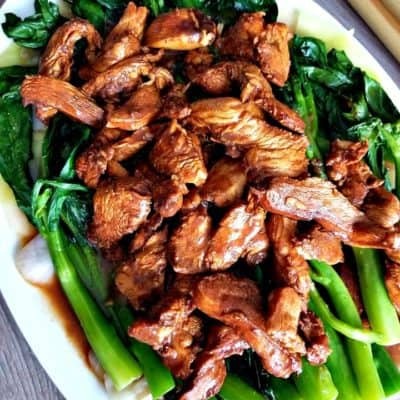 Well all that has changed a few years back when I started experimenting with asian cuisine and cooking fish whole. 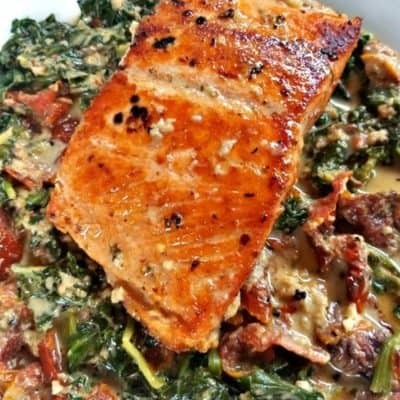 From then on I have had the confidence to tackle almost any type of fish recipe, and this one is definitely one of the easiest. 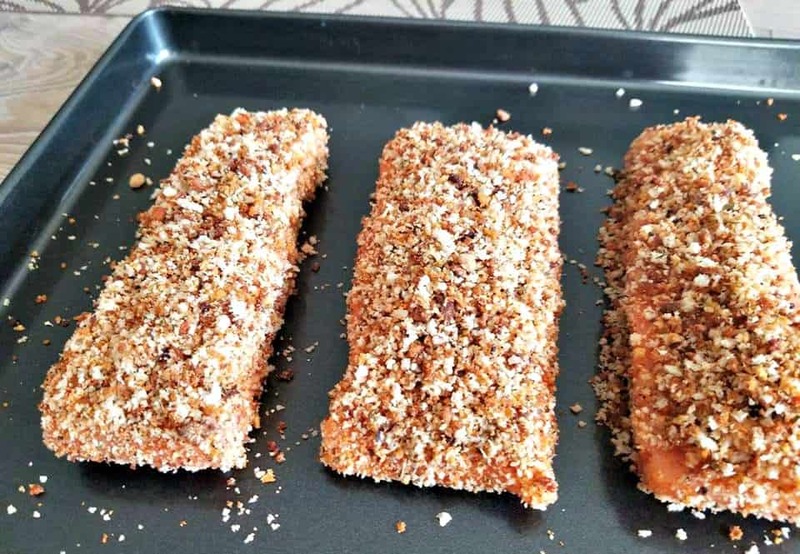 It’s been years now since I have bought those pre packaged frozen fish boxes and trust me you will too once you try this recipe. 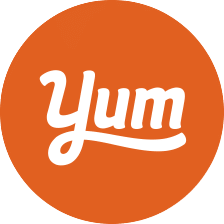 It’s as simple as emptying 1 package of extra crispy shake and bake into a shallow bowl, along with 1 cup of panko bread crumbs, brown sugar and seasonings. Then coat the salmon fillets before baking at 400 degrees f for 15 minutes then that is it. 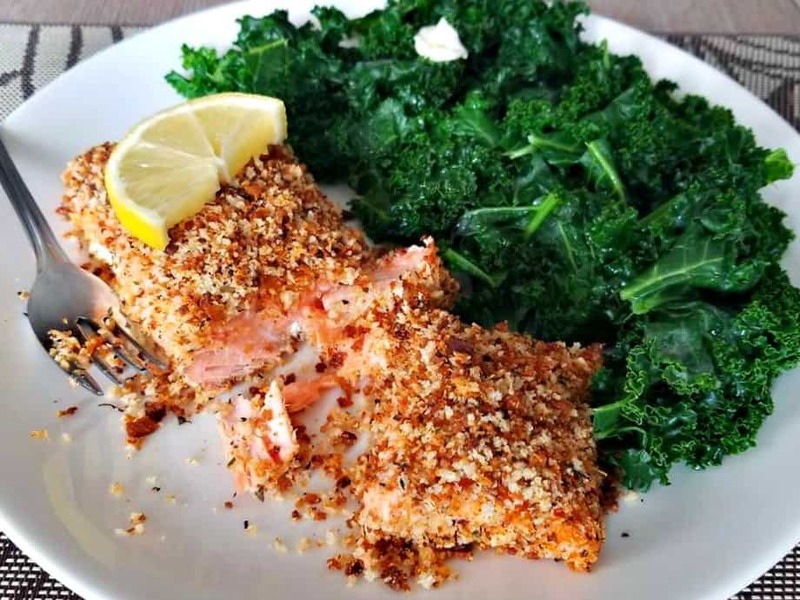 This super flaky and moist salmon dinner is ready, to be served with your favorite vegetable such as sauteed kale and a fresh lemon wedge of course. 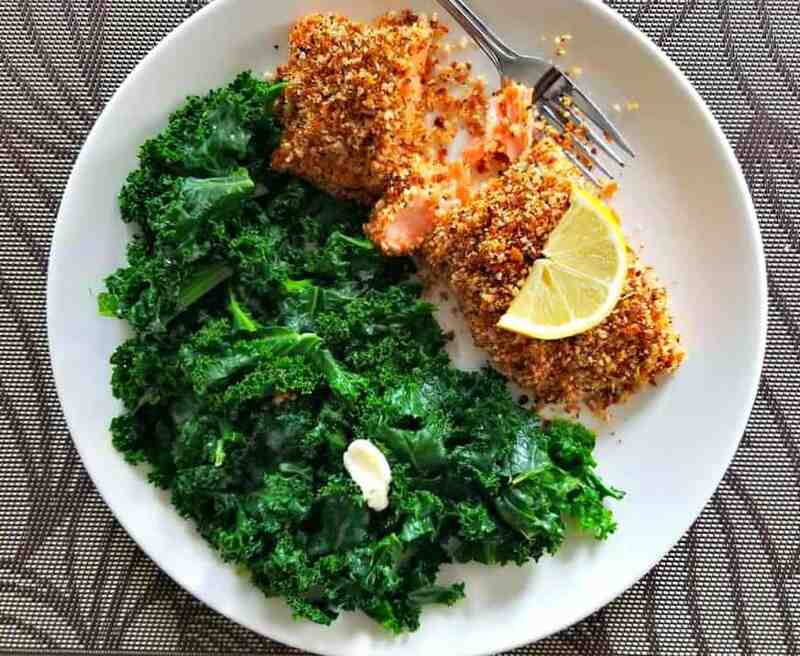 This is the kind of shake n bake that I use for this recipe! 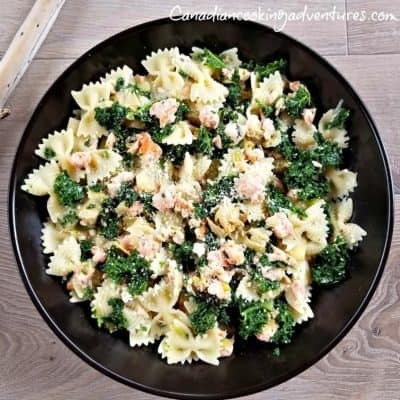 You can’t go wrong with this simple yet flavorful dish that is sure to make you a salmon lover for life. As with any of my recipes, you can adjust the serving size above to reflect the number of people you are cooking for. 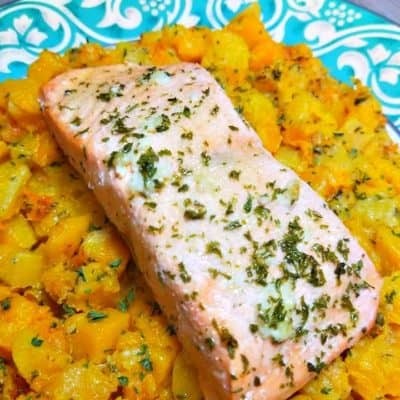 Start by rinsing your salmon and leaving it a bit moist, so it enabled the crust to stick. 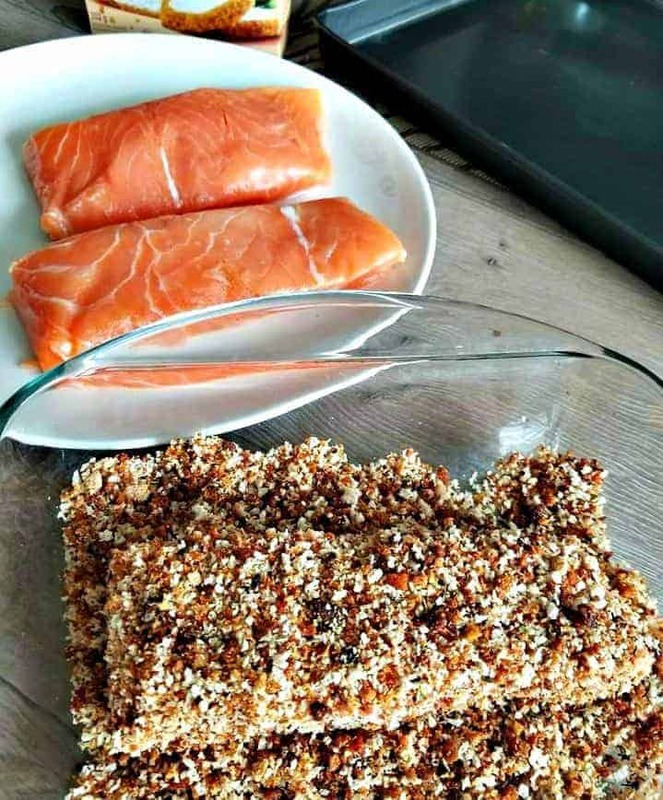 In a large dish, empty one package of Original Shake n Bake and 1/2 cup of panko bread crumbs. Then add in all your spices, mixing everything till combined. 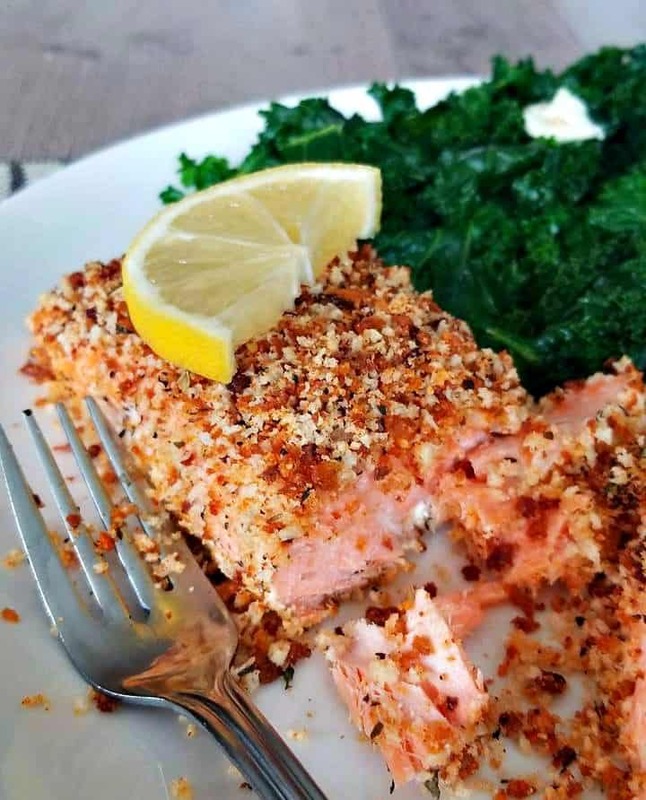 Add your salmon to the dish one at a time, and coat it completely in the seasoning. Turn over the fish and repeat. 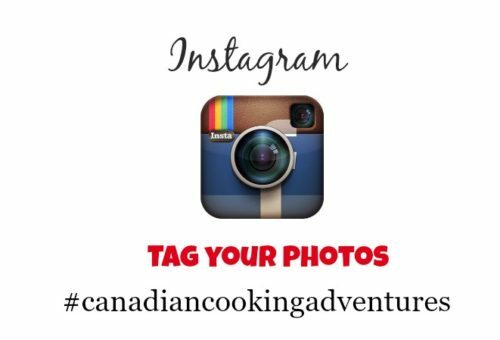 The place the fish on your non stick baking tray, "if it's not none stick" lightly spray with cooking oil". With the remaining herbs place on top the fish to create a 1/2 inch crust on top. Bake at 400 f for 10 - 15 minutes depending on how well done you like your fish. 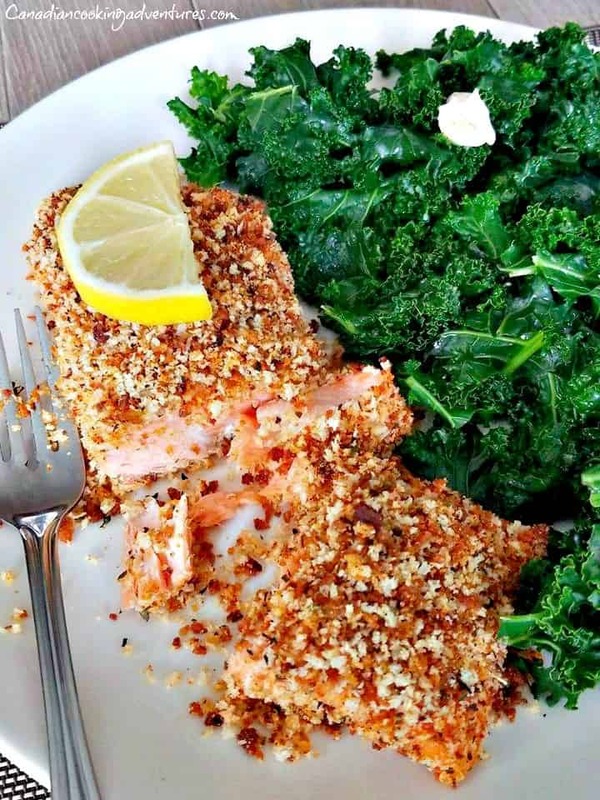 Once your fish is cooked, serve immediately with your side of choice and lemon wedge. Enjoy!